Musgrove Music Television proudly presents “Chasing 1,000 Wins” to commemorate it's broadcast expansion to 24/7 programming. 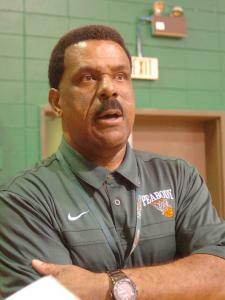 Coach Charles Smith Jr. has coached Peabody Magnet High School's basketball team, the Warhorses, for over thirty years and celebrates 1,000 wins. Coach Smith's autobiographical book is near completion, which will offer in-depth information regarding what he's overcome over the span of his career. Every so often an icon emerges to bring hope to the masses. Coach Charles Smith Jr's legendary climb to Hall of Fame status has made him a folk hero to many. ALEXANDRIA, LOUISIANA, USA, August 25, 2018 /EINPresswire.com/ — In celebration of their business decision to expand their broadcasting time to 24/7 programming, Musgrove Music Television (MMGCTV.org) proudly announces the global premiere of the inspirational documentary, “Chasing 1,000 Wins: The Coaching Legacy of Charles Smith, Jr.”, which is slated to be aired on Monday August 27, 2018 at 7pm Eastern Standard Time. Click on Coach Smith 1000 to see a preview of this amazing story. In a society whose media outlets have repeatedly shown evidence of racial tensions, political posturing as it relates to social/economic issues, and environmental uncertainties, this triumphant video account of one man’s hope and plan for the future is a veritable breath of fresh air. Daniel Musgrove, CEO of Musgrove Music Distribution, is extremely excited about the airing of the documentary. “This is a story that needs to be heard,” says Musgrove. “Mr. Smith’s story is amazing and inspiring, and we at Musgrove Music Distribution look forward to sharing his story the world over. We are extremely proud of what this man has accomplished and contributed to our society.” Musgrove Gospel Music Television will run the documentary as a one-hour special. The documentary itself is a thirty-minute presentation, but the network intends to run it twice back-to-back on Monday, August 27. Additionally, to further celebrate the network’s 24/7 broadcast expansion, Coach Smith’s “Chasing 1,000 Wins” story will run as an hour special every Monday evening at the same time for an entire month. “We want the world to be well-acquainted with Coach Smith’s successes which are, in a word…legendary,” says Musgrove. The progression of Coach Smith’s life…from his humble beginnings in a poor Louisiana home…to his rise to Hall of Fame status…could have easily been scripted by a writers’ think tank in a Hollywood movie studio. In actuality, Coach Smith’s story has all the makings of a major motion picture, and the motion picture industry would be amiss if they don't consider bringing this incredible story to the big screen. It shows all the elements of hope; success in leadership; inspiration for the youth; strength in the face of adversity; and the unwavering American spirit that every feel-good story should entail. And best of all, everything this documentary portrays is historically accurate, with eye-witness accounts; testimonials from former players; endorsements from civic leaders; and narratives from Coach Smith and his family. Charles Smith has been proclaimed a legend in scholastic circles, boasting a career spanning over forty years serving as a math teacher, and over thirty years as basketball coach for the Peabody Magnet High School’s team, the Warhorses. But the amazing milestone covered in the documentary is only half the story behind his outstanding thousand-win achievement. What also really shines is the legacy of success stories that were directly influenced by the coach’s tutelage both on and off the court. Smith’s lofty standards of excellence in education and discipline for his players have produced some of the finest examples of manhood and humanity that have garnered respect throughout our country and the globe. Coach Smith’s philosophy and approach to his team, lovingly referred to by many as “The Peabody Way,” is not just about sports but also about building character…and as they say, the proof is in the pudding. 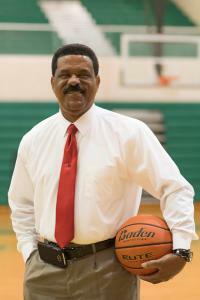 Over the years, Coach Smith’s players have been awarded sixty basketball scholarships. His son, Kendric, has gone on to win in NCAA tournaments with the 49ers of UNC Charlotte. Additionally, some of his players have gone on to have successful careers in law enforcement; the military; piloting and aeronautics; professional athletics; Broadway theatre; and a plethora of other prominent careers. For more information on services provided by Musgrove Music Television, call 954.257.9955, email at [email protected] , or visit the website at https://www.musgrovemusictv.com/.